If you are interested in learning more about CPAP and/or BiPAP machines, and if they’re right for you, please read below. 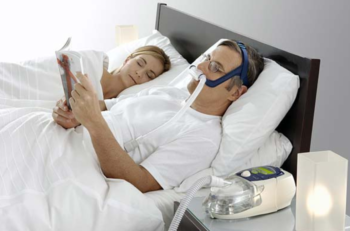 Continuous positive airway pressure therapy (CPAP) uses a machine to help you breathe more easily during sleep. A CPAP machine increases air pressure in your throat so that your airway doesn’t collapse when you breathe in. BiPAPs are often used after CPAP has failed to adequately treat certain patients. BiPAPs can be helpful for patients with cardiopulmonary disorders such as congestive heart failure. BiPAPs are often prescribed to people with serious lung disorders or certain neuromuscular disorders. If you are using CPAP/BiPAP machines and not seeing results, or if you think you may need a solution like this to treat your sleep issues, please contact us today using the form below, or call us at (913) 203-4040.